The whole set is revealed, and we’ve got some breathing room to think about the new set, instead of trying to cram it all together into that first weekend. As a result, we can take our time on preorders, and decide if we want in or not. Mostly we won’t, but there’s a couple of cards that could be in line to go up significantly out of the gate. Let’s get to the cards! This week, all the mythics. Next week, select rares. Arclight Phoenix ($2.50): No. Not even a little. When you have to do work to get your Phoenix back, and fulfill specific conditions, the card is not good and not worth it. I expect this to be a bulk mythic, because even if you jump through the three-spell hoop, the payoff isn’t too strong and dies again pretty easily. Aurelia, Exemplar of Justice ($10): This is super tempting, as by herself, she’s a 4/5 trample vigilance for four mana. 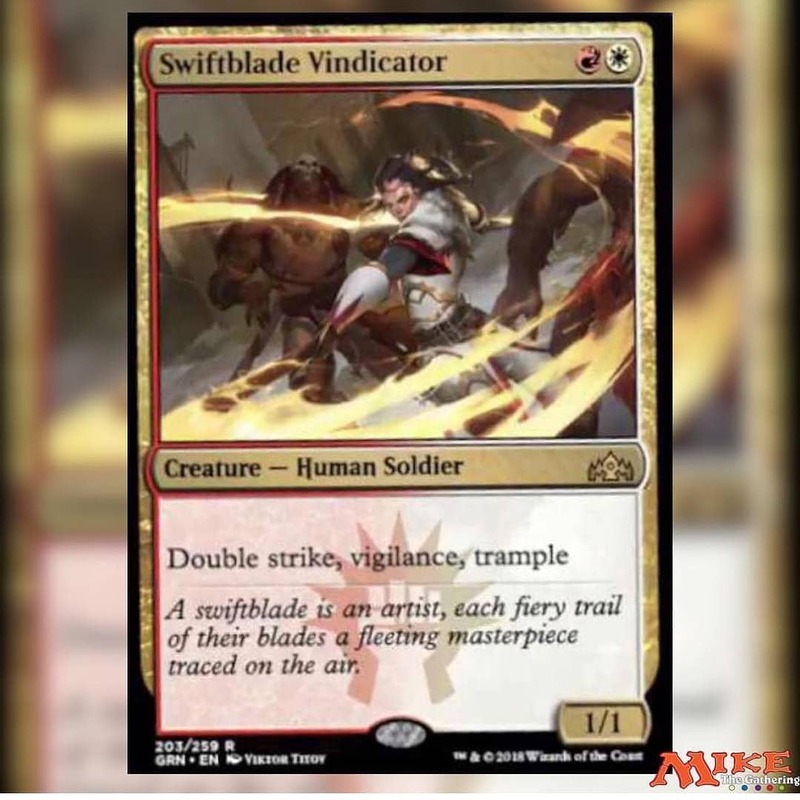 That’s a pretty crazy rate, and given the abundance of Boros aggression it’s very possible for this card to take over games, just with Swiftblade Vindicator. Plus, she gives her bonus before Mentor triggers, meaning that she can help grow your army for a while. All that being said, she would need to be commonly played and also played a lot for her to go up much from this price. I suspect she will bump up a little at first, and then start to trickle down. Please note the current curve of Resplendent Angel – Aurelia – Lyra Dawnbringer and be amazed when that isn’t a top tier deck with that quality of creature. Chance for Glory ($4.50! ): This early price is 100% due to the hopeful brewers out there. If Gideon of the Trials wasn’t rotating, then we could talk, but as it is I can’t imagine this being more expensive and I fully expect it to tank. I will admit that when foils get down to the $4 range, I’m probably going to stock up, as that’s a fun line of text which doesn’t have an ‘end of turn’ deliberately. Divine Visitation ($11): There’s no shortage of Commander decks that are frothing at the mouth to add this card. The new tokens have vigilance built in, which I believe is unique and just icing on the ‘Oh, okay, we’re all dead now’ cake. I fully expect this to hold its current price for a while, and if a token deck shows up in Standard it’ll be a $20 card. I will badly want to buy foils of this for long-term holds but I don’t think there will be many. This would be a $2 rare but as a mythic, I suspect it’ll settle in the $6 range. Doom Whisperer ($13): Effects where you pay life and get an effect are very strong, and I’m not going to be shocked when this card gets broken in Modern. It’s also huge for the mana cost, big enough to take on Lyra, and the combination is very appealing. Even if the creature is immediately killed, the ability will give some value right away. Maintaining this price will require being part of a Standard combo or instant success (or on-camera shenanigans) in Modern. It’s at least $20 if that happens, but the more likely event is that it drops below $10 and approaches $5. I have a suspicion that the broken combo will come along sooner, rather than later. 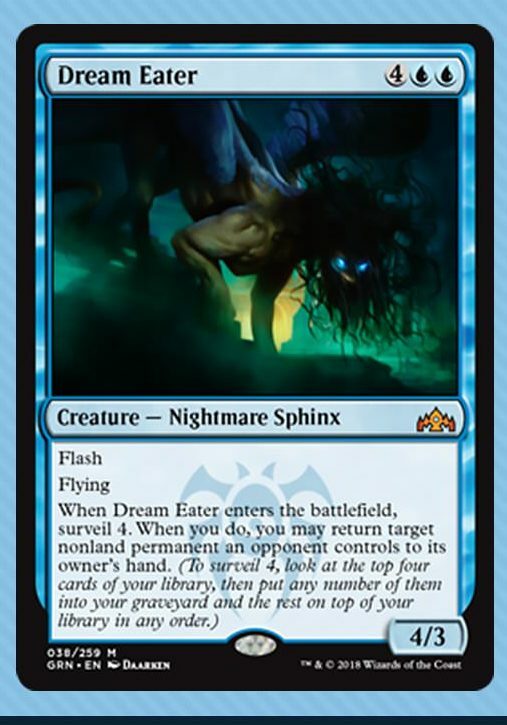 Dream Eater ($3.50): I think this will replace Torrential Gearhulk as a finisher for blue decks. It’s not the same level of value engine, but the combination of flash, a decent body, surveil 4 AND bounce a nonland is too much for the blue control decks to pass up. This is going to go higher at first, as it’ll be widely adopted in Teferi decks, and I think it’ll go as high as $10. I’ve preordered four, and I’m reassured that it’s not an expensive card. It’s a more balanced Gearhulk. March of the Multitudes ($6): Absolutely not. It’s an instant, and that’s good, but Secure the Wastes is better in most situations. It’ll get played in a few Commander games, as doubling your creature count is a winner, but this is so much of a win-more card. It’ll end up as bulk. Mnemonic Betrayal ($6): Also no. Far too conditional, and while it’s going to make for some fun stories, it just can’t reach an efficient level unless your opponent is a fizzled Storm player. Also bulk. Nullhide Ferox ($9): I respect Steel-Leaf Paladin into this into Gigantosaurus, but white decks just got the perfect card to answer big green in Citywide Bust. This is huge for four mana, and requires mana plus a kill spell just about immediately, and that’s good. Also good is that you’d likely run the full four if you’re playing with this card, but I don’t see him holding this price. Much more likely is a drop to the $4 range. Ral, Izzet Viceroy ($13): So yeah, Ral does all you’d want for a control-oriented planeswalker. Draws cards, the plus ability feeds into the minus, and a backbreaking ultimate. I foresee many people trying to build Jeskai decks in Standard around him and Teferi. I think those decks will eventually get there; what I’m not sure about is how many they’ll play and what the market is for him otherwise. Teferi is sick because he gives you a card and the mana to use it right away, where Ral requires setup. Not impossible, though. I think his price will go up a little and settle a little, but $13 is close enough to the long-term price that I’m not pre-ordering him. He’s got that Travis Allen ‘get me a razor that stops 2 mm above my skin’ look. Thousand-Year Storm ($5): This is going to be one of those bulk nonfoils/$8 foils that see see occasionally. Super-mega-niche card, and it’s only going to make the durdling Commander decks durdle harder with a 20-minute turn that mercifully ends the game. Please don’t buy this. Trostani Discordant ($6): This comes with two 2/2 lifelinkers, and that’s good. Pumps your horde of tokens, also good. They doesn’t enable a lot, and so I’m staying away, financially. I’m with you 100% if you’re adding this to your token-themed Commander deck, but this is going to be $1-$2 before long. Underrealm Lich ($6.50): This is verrrrrrry intriguing. 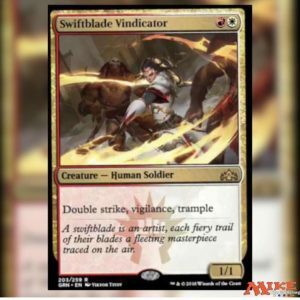 Vraska’s Contempt and Settle the Wreckage are both exile effects, which makes the activated ability lame as hell, but the draw replacement is VERY powerful. They don’t stack up well together, but I think this is going to grow a bit. I’m not sold enough to think that it’ll hit $20, but it’ll see enough play to get to $10. That’s not a big enough jump for me to want to preorder it, though. 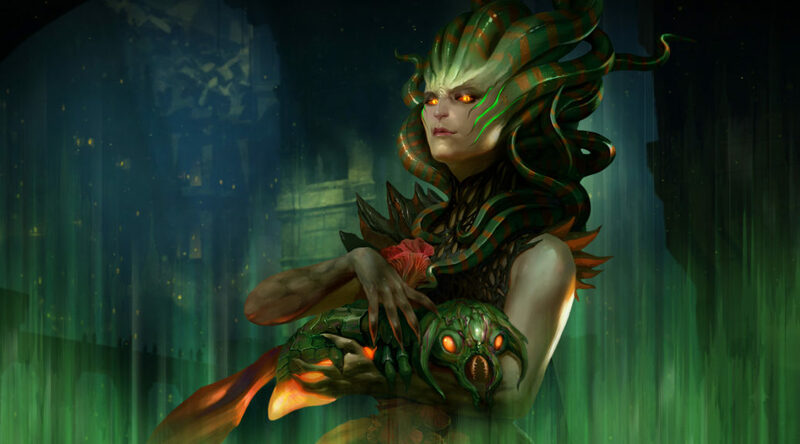 Vraska, Golgari Queen ($18): I really want her to be awesome, but I just don’t see it. Her drawing a card is conditional, and while the -3 is great on turn four, it’s pretty terrible as a topdeck turn 8. I think she’ll fall in price some, down to the $10 range, but likely no lower. The bar for Planeswalkers is pretty high right now, given Teferi and Karn. 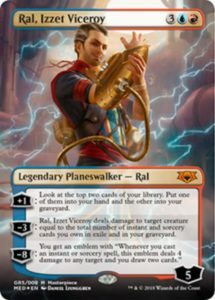 Previous PostMTGFinance Fall 2018 Rotation PrioritiesNext PostGuilds of Ravnica Prerelease Weekend Pickup Guide.